Harker debate students competed at the Robert Garcia Memorial Invitational Tournament, held Sept. 13-14 at Saint Francis High School. Six policy debaters and eight public forum debaters represented the Eagles in Harker’s first regional tournament of the school year. 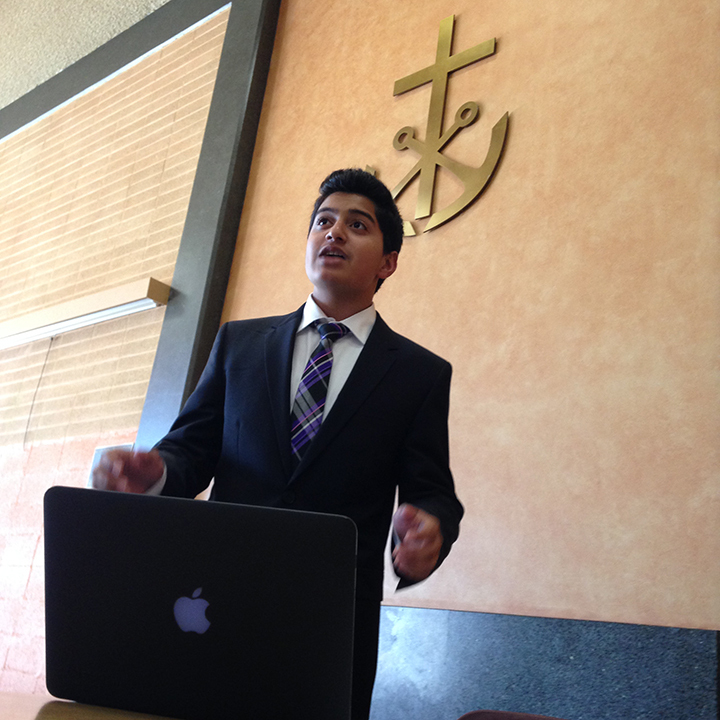 In policy debate, Arya Kaul, grade 12, took fourth overall in individual speaking. Kaul and his partner, Anika Jain, grade 10, won four of their six preliminary rounds, narrowly missing the elimination rounds. In public forum debate, individual speaking awards were won by sophomore Emaad Raghib (fifth overall), junior Abhinav Ketineni (sixth overall) and sophomore Alex Lam (seventh overall). Raghib and partner, David Jin, grade 11, as well as Ketineni and his partner, junior Jasmine Liu, made it to elimination rounds where they finished in the top eight overall. Next weekend the public forum and congressional debaters will head to Yale University to compete, while policy and Lincoln-Douglas debaters will head to Dallas to compete at The Greenhill School.